Helping people and brands to grow their business through Digital Marketing, Social Media Marketing, Learn how to live laptop lifestyle. How can a messenger chatbot help with your offline marketing? 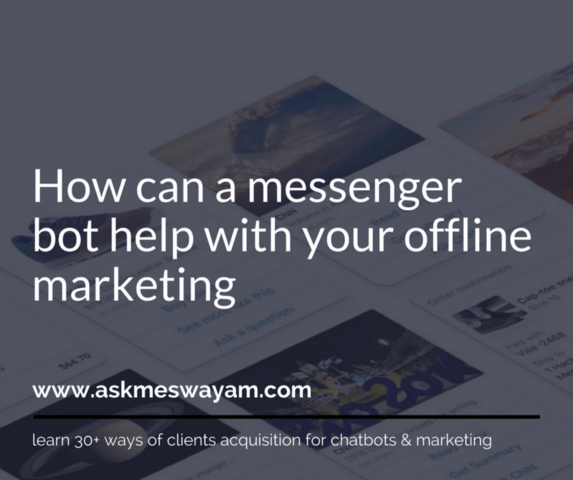 Let’s talk about How can a #messenger #bot help with your offline marketing?